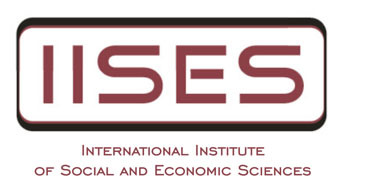 The International Journal of Social Sciences is freely available online. Our open access policy is aimed to facilitate exchange of knowledge. Authors are required to agree with this open access policy which enables unrestricted access and reuse of all published articles. The articles are published under the Creative Commons copyright license policy CC-BY. Users are allowed to copy and redistribute the material in printed or electronic format and build upon the material, without further permission or fees being required, provided that appropriate credit is given. Since 2017 the International Journal of Social Sciences is published semiannually. Publishing months are March and September. Articles submitted for possible publication are subjected to a double-blind, peer review process. are then sent to two experts in the field of the paper. Referees of a paper are unknown to each other. Referees are asked to classify the paper as publishable immediately, publishable with amendments and improvements, or not publishable. Referees’ evaluations usually include an explicit recommendation of what to do with the manuscript. Referees’ comments are seen by the author. Referees each return a peer-review of the article to the editor. The role of the referees is advisory. The review process is usually completed within 3 months. Accepted articles are usually published within 6 months. The average success rate of the submitted articles is 30%. Starting from September 1st, 2017 submission fee is EUR 100 on new submissions. No more publication fee will be applied to accepted papers. to the IISES to publish their work and agree that users are allowed to copy and redistribute the work, transform and build upon it. appropriate reference of the original publication is requested. been published in or submitted to any other journal. The editor scans all submitted papers in order to detect plagiarism. If plagiarism is detected, the paper is rejected from publication. a note stating the reason of retraction. description of plagiarism. Authors and their institutions will be notified. The journal is digitally preserved by the National Library of the Czech Republic within its WebArchiv since 2014. For the Publication Ethics and Malpractice Statement please click here.